The concept of tacit knowledge — knowledge that is difficult or impossible to parameterize, or to express in words or numbers — is central to organization theory, as well as philosophy (Polanyi) and social theory more generally (Hayek). Most of the research literature on tacit knowledge is conceptual and theoretical, such as Hayek’s famous “Use of Knowledge in Society” (1945) or more recent pieces like Jensen and Meckling’s “Specific and General Knowledge, and Organizational Structure” (1992). Empirical studies of tacit knowledge are rare, which is not surprising given the idiosyncratic, personal, subjective, and often ephemeral nature of such knowledge. Studying physicians in training, I investigate how uncertainty and tacit knowledge may give rise to significant practice variation. Consistent with tacit knowledge accruing only with experience, and empirically exploiting a discontinuity in the formation of teams, experience relative to a peer substantially increases the size of variation attributable to the physician trainees. Among the same physician trainees, convergence occurs for patients on services driven by specialists, where there is arguably more explicit knowledge, but not on the general medicine service. This difference is unexplained by formally coded patient information. In contrast, rich physician characteristics correlated with preferences and ability, and quasi-random assignments to high- or low-spending supervising physicians explain little if any variation. Maternal kissing of boo-boos confers no benefit on children with minor traumatic injuries compared to both no intervention and sham kissing. In fact, children in the maternal kissing group were significantly more distressed at 5 minutes than were children in the no intervention group. The practice of maternal kissing of boo-boos is not supported by the evidence and we recommend a moratorium on the practice. The actual author, Mark Tonelli, is a prominent critic of evidence-based medicine, described by the journal’s editor as a “collapsing” movement and in a recent British Journal of Medicine editorial as a “movement in crisis.” Most of the criticisms of evidence-based medicine will sound familiar to Austrian economists: overreliance on statistically significant, but clinically irrelevant, findings in large samples; failure to appreciate context and interpretation; lack of attention to underlying mechanisms rather than unexplained correlations; and a general disdain for tacit knowledge and understanding. My guess is that evidence-based management, which is modeled after evidence-based medicine, is in for a similarly rocky ride. Teppo had some interesting orgtheory posts on this a few years ago (e.g., here and here). Evidence-based management has been criticized, as you might expect, by critical theorists and other postmodernists who don’t like the concept of “evidence” per se but the real problems are more mundane: what counts as evidence, and what conclusions can legitimately be drawn from this evidence, are far from obvious in most cases. Particularly in entrepreneurial settings, as we’ve written often on these pages, intuition, Verstehen, or judgment may be more reliable guides than quantitative, analytical reasoning. Update: Thanks to Ivan Zupic for pointing me to a review and critique of EBM in the current issue of AMLE. Justin Fox reports on a recent high-powered behavioral economics conference featuring Raj Chetty, David Laibson, Antoinette Schoar, Maya Shankar, and other important contributors to this growing research stream. But he refers also to the “Summers critique,” the idea that key findings in behavioral economics research sound like recycled wisdom from business practitioners. Summers [in 2012] told a story about a college acquaintance who as a cruel prank signed up another classmate for 60 different subscriptions of the Book-of-the-Month-Club ilk. The way these clubs worked is that once you signed up, you got a book in the mail every month and were charged for it unless you (a) sent the book back within a certain period of time or (b) went through the hassle of extricating yourself from the club altogether. Customers had to opt out in order to not keep buying books, so they bought more books than they otherwise would have. Book marketers, Summers said, had figured out the power of defaults long before economists had. Maybe Larry and I should hang out. The editors of MIT Sloan Management Review are pleased to announce the winners of this year’s Richard Beckhard Memorial Prize, awarded to the authors of the most outstanding MIT SMR article on planned change and organizational development published between fall 2013 and summer 2014. In this article, the authors examine a familiar and important question for managers: How can the tension between purpose and profits be best managed? The authors explore the kinds of structures companies need to put in place to provide clarity and direction for employees while also serving to both motivate individuals and draw people together in a common pursuit. As the judges for the prize pointed out, the tension between purpose and profit is well-known, and many companies claiming to have “pro-social goals” have difficulty backing up their claims. However, the judges were impressed with the examples the authors presented of companies that have actually been able to balance purpose and profit. Some were familiar (such as Whole Foods Market and Tata Group), but others were less so (such as the Swedish bank Svenska Handelsbanken and HCL Technologies, an India-based IT-services company). The pro-social goals the companies emphasize — for example, putting employees first or investing in local communities — are hardly elaborate or surprising. What is important is that companies put systems in place to meet these goals. For instance, at Tata, where the pro-social goal is “to improve the quality of life in the communities we serve,” the supporting systems include charitable trusts that own the majority of the equity capital of the Tata Sons holding company. Pro-social goals require what the authors call a “counterweight,” such as an employee council or a measuring system, to ensure that the pro-social goals continue to have influence. This year’s panel of judges consisted of distinguished members of the MIT Sloan School faculty: Schussel Family Professor and chairman of the MIT Sloan Management Review managing board Erik Brynjolfsson, retired senior lecturer Cyrus Gibson, and Erwin H. Schell Professor of Management John Van Maanen. Nicolai, you can do great things, when you pick the right coauthors…. A canonical result of multitask agency theory is that, when agents are assigned to multiple activities and some are more easily measured than others, piece-rate incentive schemes encourage agents to focus on the measurable activities while shirking the others. Professors at research universities, for example tend to focus on research at the expense of teaching — not because they don’t care about teaching, but because research output is easy to measure, while teaching quality isn’t, so administrators wishing to reward good performance tend to base their evaluations on research productivity. Or so I’ve heard (ahem). The implication is that, to encourage balanced effort and performance across activities, supervisors should rely at least partly on subjective, holistic evaluation criteria, and not just objective, quantitative measures of employee performance, or even do away with incentive compensation altogether. An interesting paper in the January 2015 Southern Economic Journal offers a different theory, and some experimental evidence to back it up, suggesting that piece rates may actually be better than other schemes under multitasking. The idea is that agents may be uncertain about the principal’s monitoring ability, and the choice of a piece-rate scheme signals that the principal is a good monitor. This signaling effect can, under certain conditions, overcome the standard distortionary effect described above. Put differently, relying on subjective, holistic evaluation criteria, or abandoning performance measurement altogether (Alfie Kohn cheers! ), may signal a sophisticated, experienced principal, but may also signal a principal who is too lazy to pay attention to employee behavior at all. The paper is by Omar Al-Ubaydli, Steffen Andersen, Uri Gneezy, and John List and is cleverly titled “Carrots That Look Like Sticks: Toward an Understanding of Multitasking Incentive Schemes.” (Yes, it is part of the List Project on which we have mixed opinions.) Here is more on multitasking. Casson spoke at great length about the need for research that focuses on named individuals, is based on the extensive study of primary sources in archives, takes social and political context into account, and which looks at case studies of entrepreneurs in different time periods. In effect, he was calling for the re-integration of Business History into International Business research. And a renewed emphasis on entrepreneurship, not as a standalone subject dealing with startups or self-employment, but as central to the study of organizations — a theme heartily endorsed on this blog. This ambitious book has a three-fold purpose. First, it seeks to clarify “entrepreneurship” in a manner amenable to both modern management and economics literature. Second, it redefines the theory of the firm in order to integrate the role of the entrepreneur more fully and give a comprehensive view on why firms exist. Finally, and most successfully, it sheds light on the internal organization of the firm, and how entrepreneurship theory can augment our understanding of why firms adopt the hierarchies they do. . . . Organizing Entrepreneurial Judgment is a massive undertaking, and one that ambitiously spans the unnecessary divide between management studies and economics literature. For the scholar seriously contemplating exploiting this gap further, the book is highly recommended. 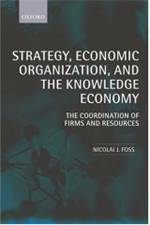 Having thoroughly enjoyed reading this rendition of their entrepreneurial theory of the firm, it is this reviewer’s hope that Foss and Klein continue to carve out this growing niche straddling the two disciplines. Following up with a more direct and focused primer on their firm would be a welcome contribution to further the growing field. 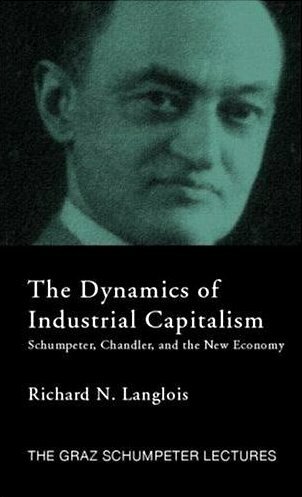 Also, at last November’s SDAE conference, the book received the 2014 FEE Prize for best book in Austrian economics. We have several new papers coming out that develop, extend, and defend the judgment-based perspective. Details to follow.